Yesterday was my birthday. I woke up in Boca Raton, and had coffee in the sun, by the pool. I engaged, a bit, in a conversation: If there should be consequences for administrators who bring false charges against teachers, what should those consequences be? It’s obvious that there SHOULD be an answer, but not as obvious what that answer should be. I know how many ways a polygon can be triangulated (Catalan). But a student proposed investigating dividing polygons into a mix of triangles and quadrilaterals, or only quadrilaterals. I played with her questions and related questions on the plane home. To make a larger n-gon I made a rough circle and then spaced out the right number of points. I didn’t bother connecting them (since I only want diagonals, anyway, and since my sketches are not very neat). So it looked like I was drawing lines in circles. 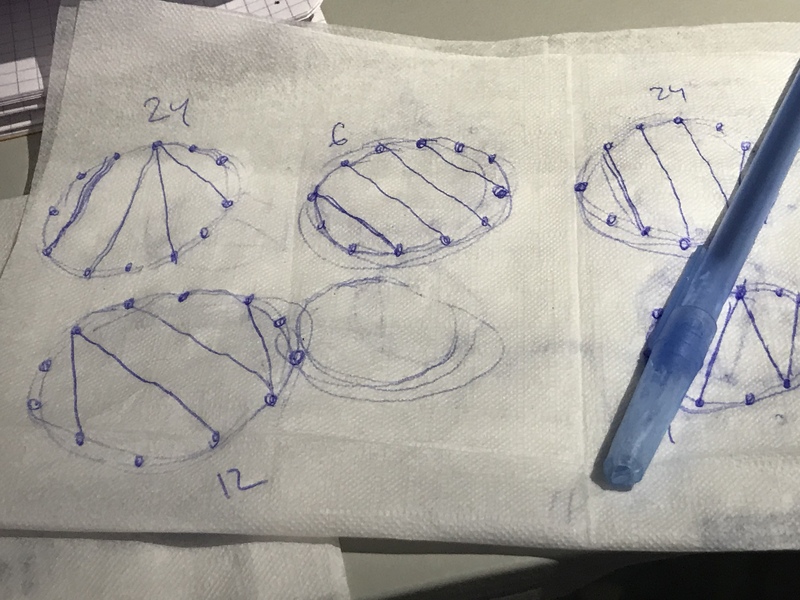 Flight attendant asked – he likes circles and was hoping this was geometry. Arrived in a cold rain, and before I reached the bus stop my foot found a huge puddle. 54, in the book.